Identify any font in an image! 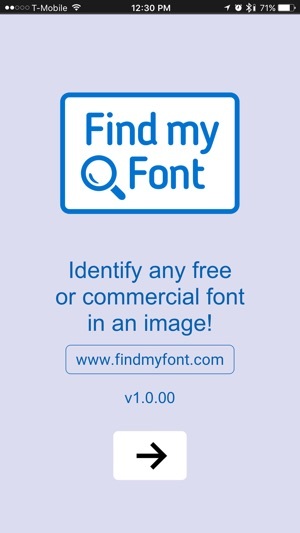 Use Find my Font to identify the fonts in any digital image in seconds! 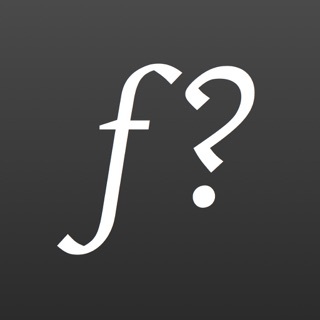 Take a photo or load a gallery image and let the app find any free or commercial fonts in the picture. Ideal for graphic designers, web-designers, sign makers and all creative people who don't want to waste their time searching for a font. * Achieves accurate matching results down to 20 pixels text height! Disclaimer: The copyright of all identified fonts belongs to the corresponding publishers & font designers. Find my Font and Softonium Developments do not host or offer any fonts for download. 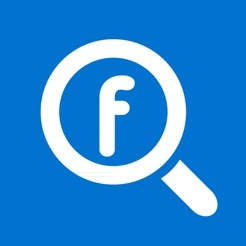 We only point to appropriate URL links to buy and/or download fonts from the original publishers. 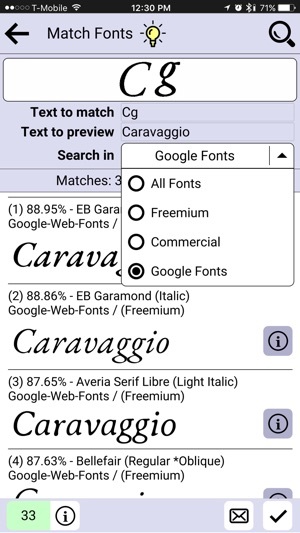 (*)"freemium" fonts: Sometimes the publisher/designer offers the opportunity to download a font but that doesn't mean the font is 100% free for any use. It could be "free for personal use only", donation-ware or just a demo you need to purchase before use. It is the user's responsibility to acquire, accept & respect any associated font usage license before using it. This app really came in handy at the very last minute! 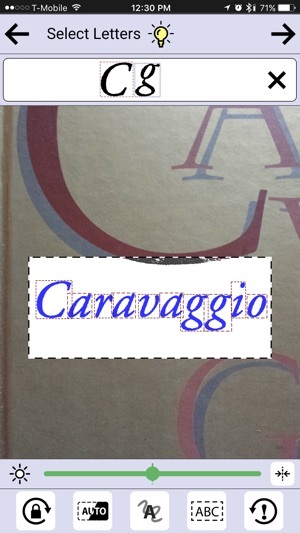 I needed to find out the name of a very scarcely used and unknown font. I tried for hours and got absolutely no results anywhere else. 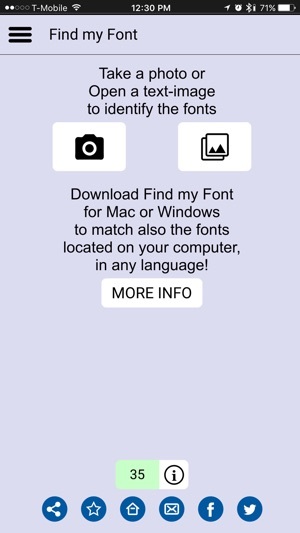 I popped my image into "find my font", and voila... It wasn't able to lead me to the exact one, but it definitely lead me to a couple that were very similar to it! You've got 5 stars from me for sure. Excellent job! Keep up the good work! I use the desktop version and am quite happy with it, so I was excited at the thought of the mobile app. Downloaded, played with it a bit, and paid for the unlimited IDs. I love this app! 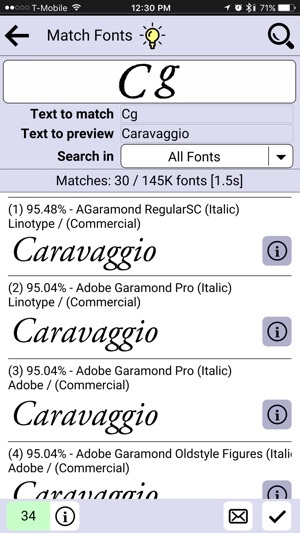 It is such a time saver when trying to identify fonts that I see and like! Only a little glitchy with some script fonts. Thank you for the feedback and the kind words. Note that for an accurate letter selection of a script, stencil or fragmented font you should use the "Select by Paint" function (activated by the middle button on "Select Letters" screen).